Keith Bunin (In Treatment) will adapt the screenplay for Mandalay Pictures, who optioned Horns in 2009 shortly before the book was published. Hit the jump for the full synopsis, plus a look at the other projects Hill and LaBeouf have in development. 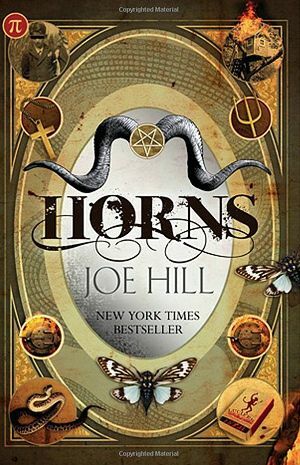 Variety reports that Hill, the son of Stephen King, will executive produce Horns. Hill has two other literary works in the Hollywood development cycle. Joel Silver and Akiva Goldsman are developing Heart Shaped Box as a feature film starring Jeffrey Dean Morgan; Jesse McCartney, Miranda Otto, Sarah Bolger, Nick Stahl, and Skylar Gaertner star in the TV series adaptation of Hill’s comic book Locke & Key produced by Steven Spielberg, Josh Friedman, Roberto Orci, and Alex Kurtzman. I’m really keen on The Wettest County, and I’m counting on LaBeouf’s star power to push the film through a prolonged development. But Horns sounds horrifically inviting. I wouldn’t mind seeing a horned LaBeouf. The actor will next be seen in Transformers: Dark of the Moon, which opens July 1.